PLATF9RM - a new collaborative working environment with a mixture of co-working, fixed desk and private offices. We have private 24/7 offices for 2 - 40 people with flexible no fuss license agreements. We have 4 meeting rooms, all bookable on our online Members Portal. A dedicated event/lounge space. Our black meeting room holds a 86" interactive screen. We have phone booths for private calls as well as a growing Cultural Programme. We’re more than just work space. We also have co-working membership options and permanent dedicated desks. We’re located 5 minutes from Brighton station with gorgeous sea views. PLATF9RM has just opened in Hove Town Hall, and you’ll have access to both sites. Are you a member of PLATF9RM? This is a great place to work. Fun and friendly staff. Care is taken to make sure there is always somebody to hand to help if needed. They are working hard to build a community with a series of different work focused events. A good mix of technology platforms for the young / introverts but space for us older extroverts to express ourselves as well. Friday drinks and end of month socials are a great idea. Also they listen to feedback and ideas; very open to change and new ideas. Dog friendly with water bowls and sometimes treats as well. My only criticism is the accessibility via the lifts to the 5th/6th floor. "A fun, friendly place for focused work and serendipitous connections"
I love the way Platform 9 has been designed. It combines the feeling of being at home with the buzz of a thriving community. Whether you just want to get your head down; find space to think creatively or connect with interesting people then Plarform 9 does this in spades. Being in the heart of Brighton and Hove also means it’s super convenient place to get to and to have meetings. The regular events they host on diverse subjects and topics that aren’t only about business mean that you can really achieve a great work-life blend. A must coworking venuew for creative souls with business brains. 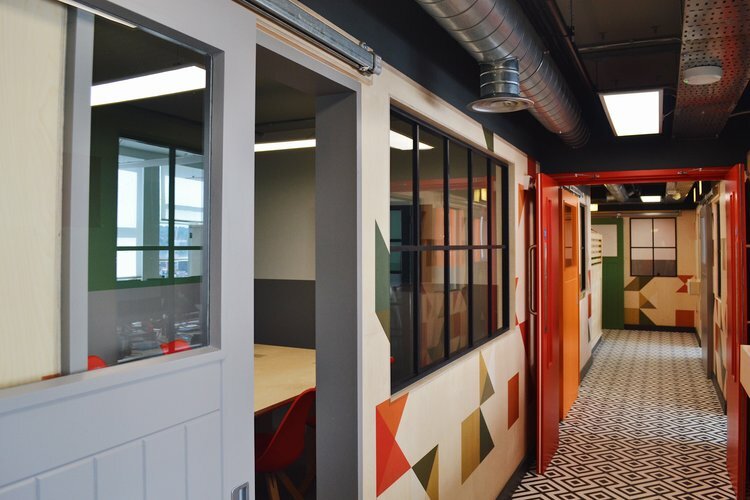 "Great, friendly atmosphere and by far the best co-working space I've ever been to." I've worked in several co-working spaces both in Brighton and internationally and Platf9rm is by far the best. The staff are always so friendly and couldn't be more helpful. I've made some great friends through their social events which are always loads of fun. As a recruiter I spend a fair amount of time on the phone which is manageable with their private phone booths one of which you can book out BUT if you spend all day on the phone I'd say the co-working space isn't ideal so maybe put your name down for a private office. Overall, I love it here and would highly recommend it to anyone who struggles a bit to work from home. "Great space, great people, great community! " "Amazing, friendly and tea and coffee is free! " Platf9rm is a wonderful place to work full of interesting and helpful people. It's an awesome workspace to just get stuff done as well as network with others. There are a lot of social activities here which is awesome if you are self employed working on your own. Plus the tea and coffee is free - who doesn't like a good brew or a mug of coffee! I'd highly suggest joining Platf9rm if you work from home or for yourself. It's been great to get out the house and see other humans in an awesome working environment. It's the best work space I've worked in. "Not sure what I'd do without it!" A meticulously designed space that has been a game changer - from the wonderful staff to all the inspiring connections I make through the space and the brilliant events. I get so much work done in the space and the attention to detail is spot on with tea and coffee available that's sourced from local companies. The integration of the PLATF9RM community in the Brighton scene is a huge pull, they are very involved in the city and contribute to making it a wonderful place to live. Always proud to tell people I use the space, best co-working space I've ever used! Everything here is excellent: the space is so well designed and thought out, the staff are fabulous, and it has everything you could need to be productive + happy at work - from free coffee + breakfasts, to drinks on Fridays, to fun events and socials they put on. I live just 5 mins walk away but am SO glad I joined Platf9rm, I am so much more productive being here and surrounded by likeminded, creative people makes for such a great environment. I've been a member of a number of coworking spaces before and this one has the best atmosphere hands down. "Platf9rm is THE BEST! " If you find it hard to work from home but still want to enjoy eating breakfast in comfy clothes with good chat whilst getting that press release finished, I can’t recommend Platf9rm enough. Warming, welcoming, wonderful work family environment! Platf9rms co-working space is an excellent opportunity to meet professionals from different industries you may not otherwise come across. I've already collaborated with numerous other Platf9rm members on previous projects. The socials are a great place to get to know more members. The offices are spacious, calm and inspiring. The team couldn't be more generous and willing to help wherever they can! Highly recommend this wonderful space! 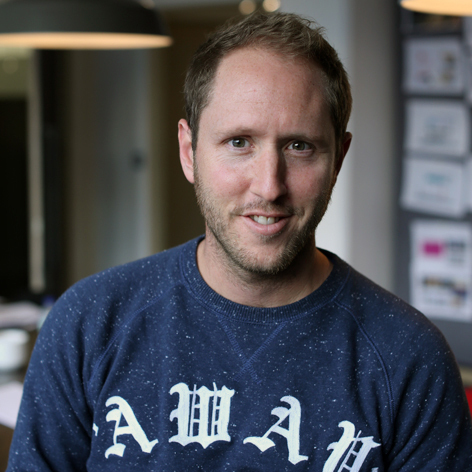 "The best place to work in Brighton"
The people at Platf9rm are empowering and supportive, with the team behind it making it the perfect place to work. The space is bright and you can always find somewhere to hide away or someone to talk to, whatever you're after. They have created an environment that makes you feel like you work for the best company around, but you're lucky enough to be your own boss. I have tried out quite a few different spaces in Brighton and this is by far the best. There is an amazing community feel and people are always collaborating and helping each other. "A real sense of community!" Platf9rm is a great co-working space. With the friendly staff, monthly socials and cosy atmosphere it's a great place to work daily from. 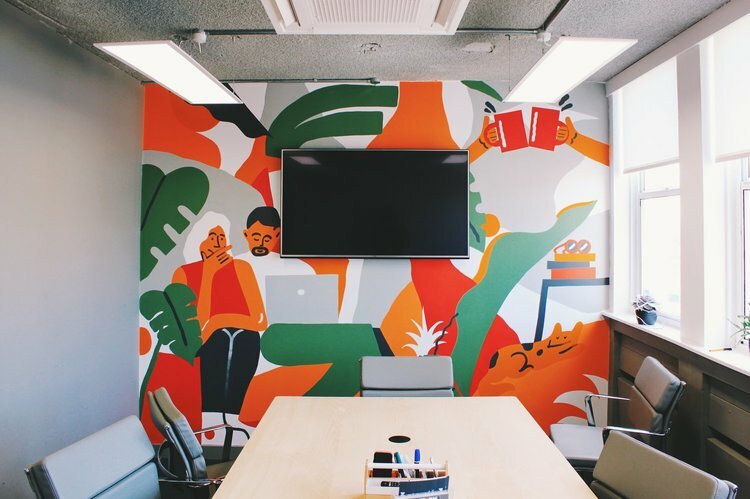 The decor makes it stand out from the traditional co-working places, with free hot drinks being an added perk. With a mixture of members from all industries (not just digital), it allows for me to network and interact with other sectors easily. The locations of Platf9rm are excellent, either a few minutes walk from the train station or in the middle of Hove; it's easy for clients to find and are always impressed once they're inside. 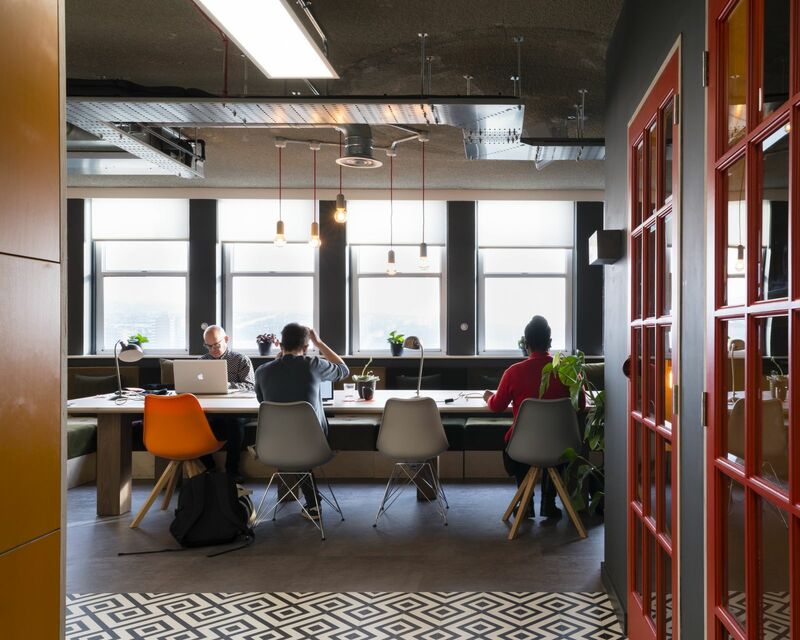 In comparison to the other co-working places in Brighton, Platf9rm keeps a fair and friendly approach regardless of your membership - whether you're on a day pass or have a office, everybody is treated the same and have the same offerings. The people at Platf9rm (members and staff) are incredible! They have perfected the co-working idea and have provided a space that accommodates your business in all aspects. Fresh coffee, quiet spaces, social gatherings, phone booths for when you need a moment and puppies! (shout out to all my four legged babes in Tower Point). Not to mention P9 has an incredibly supportive staff that help you get on with your business instead having to faff about with office space managing. Platf9rm is perfect for small companies who want to focus on their core business and would like a space with a positive vibe to harvest their creativity. A great working atmosphere - A sense of community - hipsters will feel at home. You'll be surprised as to how having lots of colourful surroundings and a moss wall will help you concentrate. Thanks Mitch! You make such a great addition to our community. I have been a member at Platform 9 Tower Point since March of this year when I changed jobs and count myself lucky that I joined a company that had already decided to be based here. I work in a 'pod' which is great but there are also plenty of other work areas to suit any need i.e. a quiet area including comfy chairs! The Platform 9 team are so helpful and friendly but also very professional. They organise some really interesting and informative work events as well as a monthly social event giving you plenty of opportunity to meet the other Platform 9 members who are a great bunch of people. I would highly recommend Platform 9 office space to anyone wanting an alternative to a home office or indeed a company wanting an energising environment to work in. Ah thanks Jenny, we're lucky to have you! "Great space, great people! " Having tried a number of co-working options in Brighton, Platf9rm is easily the best space we've had yet. The offices themselves are beautifully designed, but it's the people, PLatf9rm team and really fun, positive environment that make it a great space to work in. I'd recommend it in a heartbeat. "Beautifully designed, functional and friendly workplace." One of the best co-working spaces I have tried. Beautifully designed interior with sea views over Brighton. Very friendly and creative vibe, excellent facilities and internet. - Loads of free to use private phone booths - Excellent meeting rooms all with Apple TVs - Great breakout areas for informal meetings - Excellent fast internet - Coffee and tea All in all a lovely space and highly recommended! Thanks James! You've definitely got one of the best spots for the sea view! "Super chilled and focused atmosphere, stunning surroundings, decent coffee"
I've been co-working at Platf9rm since September, and I love it! The office space is stunning and it's clear a great deal of thought has gone into creating a open, inspiring, and collaborative space. There's a great vibe—super chilled and very focused. People are friendly and a real laugh to spend time with during the monthly socials. The staff make a real effort to get to know everyone and create a positive atmosphere. The coffee is decent and there are always tasty ciders/beers/vodka & sodas to be found on a Friday afternoon. Oh, and the playlists are pretty sweet too. There is a great variety of concentration-conducive tunes. I was a particular fan of the ambient electronic tunes playing when I was last in. I highly recommend it as a space to co-work in. Thanks Lana! Glad you're enjoying the music, I've sent it your way! "A Space That Revolves Around You"
I've been a co-worker at Platf9rm for about 5 months now. Both their offices in Hove and Brighton are cleverly designed to work for you, and what I mean by that is that if you want to find a quite space - you can, if you want to be in a more social environment - you can, if you want to drop in at the weekend - you can, if you want to bring a dog - you can. Then there are the events that are laid on, some excellent ones alongside Virgin Start-Up and some social ones too...although I'm still waiting for my sea swimming session! For me as an individual I've found this a far more productive environment than working from home and hopefully as my business expands the smaller office space opportunities will begin to come into play too. Thanks John! We're always up for a chin wag with you. Although we can't always promise brownies! "Platf9rm is as good as it gets." Three important things make up a good Co-Working space. Location, The Team, and Interior Design. Platf9rm have nailed all three. It's a great Location in the center of the city, close to the main station. The Front Of House Team are professional but remain friendly and create the buzz which makes the atmosphere a perfect place to work. Platf9rm has a modern design with specifically different areas which allows members to find a range of environments to work in to suit your requirements or just the mood you are in that day. It's an excellent place to meet clients and never fails to impress. Thanks Paul! We're happy to have you buzzing along with us! "A great space with an exceptional team! " I've been using the Platf9rm Brighton space for a few months now and I love it. It's an inspiring and relaxed environment with brilliant staff. I highly recommend. "Finally! A place where you want to go to work! " How about working in a place where you want to go to work? Where you're met with happy faces, encouraging enthusiasm, great event arrangement and an all out great professional community? Well that's Platf9rm for you. Wonderful friendly team always going above and beyond to help you out with any queries or even just brighten your day with a friendly welcome. The office space is fresh, fun, pet friendly and innovative. Love working at Platf9rm and love working with the team. Ohhh Michelle, thanks for leaving us such a lovely review! "The best work environment I've been in"
Thanks for a smashing review Richard! "The best coworking space in the South East!" I love it here. Friendly and welcoming atmosphere. Brilliantly designed workspaces, that are comfortable and enjoyable to work in. There's loads of really interesting events and a thriving community. I love the variety of businesses and people you get at Platf9rm too. Plus the staff couldn't do more for you to make your day easier. Highly recommended! Best co-working space in the South East, we'll take that! Thanks Andy! "I searched and searched and then I found Platf9rm !!!" Platf9rm IS what co-working should be! Its a modern, bright stylish space. There are real variety of companies and freelancers that work from here, and everyone is friendly. The work-stations are varied depending on whether you are in need of a booth area, or big table space, or a sofa, or you can do all 3! Great coffee, organic tea, dog friendly, and a team of people that actively take an interest in you and your business. Its developed into a true community, with workshops, brain-storming, social events and more...... If you're finding working from home a bit isolating, and are looking for a great space to work, whether it be for a few hours a week, or on a full time basis, then head over to either Brighton or Hove to check it out. Thanks Jan, we love having you and Murphy with us! The space and facilities are just amazing, as is the location in central Brighton. Perfect for getting stuff done any time of day (or night/weekends). Wonderful place to have meetings with all the mod cons available. The staff is brilliant. Two thumbs up! Thanks for the review Iris! Makes sure you attend their regular events such as Cereal Filler, Content Club and Ideas Café. Go to the socials as you get to meet people and have something to chat about when you're making a coffee in the mornings! always get coffee at the Flour Pot - and donuts at 10.30 on a Friday. Simply the best. With the North Laines just down the road, you're never far from the latest cool place. Kensingtons on Gardener street is one of my favourites. Two blocks away from the best lunch spots in Brighton, 5 minutes away from the train station! You'll never have spend money on coffee again - great coffee machine - proper rocket fuel! Taking time to chat with the front of house team will help you to make introductions to other co-workers if you are trying to build a network. Head to MADE cafe, just on the corner opposite Platf9rm. Let them know you work local and they always throw in a locals discount. Osetta cafe a short walk from the Brighton Platf9rm is a must for delicious lunch meals. Both offices, in Brighton and Hove are brilliantly located, close to stations, bus routes and shops. Fab for cafes, lunch time walks or seafront runs !! This place is plug and play with free coffee, tea and everything you could need. PLATF9RM will be in touch with you soon to confirm. PLATF9RM has received your membership enquiry and will be in touch with you soon.